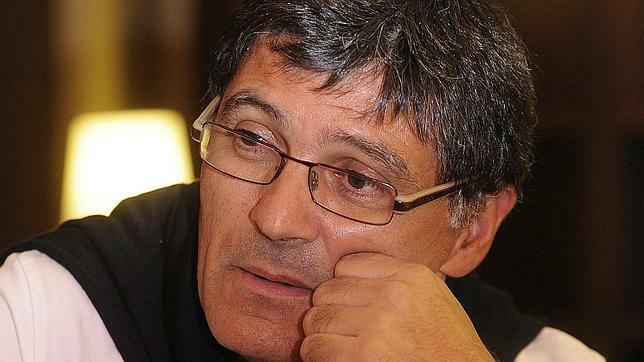 Toni Nadal: "Rafa is upset about not playing well"
Toni Nadal, Rafa Nadal's uncle and coach has recognized tonight at Radiogaceta (a Spanish Radio Sports show) that Rafa's not at his best: "Physically he's fine, but emotionally, Rafa is worried that his game is not being good enough. " And he added: "Rafa is upset about not playing well and not because journalists have doubts about his game"
About Roland Garros he has acknowledged: "I prefer Federer beats Djokovic" and he added: "I'd rather win here and lose the number one than keep the Number 1 but don't win Roland Garros. This tournament grips Rafa more than others"
As for the problems in his game he has explained: "Rafa lacks calm, he has to let the nerves behind and relax. He also needs to play with more joy." "He is used to not being Number 1 in the world, so if we lose it we will take it naturally. It will be deserved by Djokovic when he reaches the Number 1, he's been the best this year" he said. When asked if Rafa is affected by the new balls, he responded: "What he's affected by are the 4 defeats against Djokovic, the balls are the same for everyone. But you have to think that he has been in four finals but won two tournaments". Finally he said: "I am confident that he's going to find his best level against Soderling... We know how Rafa is: he grows in times of challenge. " Toni Nadal attempts something difficult: to explain what is going on in his nephew's mind after losing four consecutive finals to the same rival. It had never happened to him before, 'not even against Federer,' the coach says. 'For one reason or another you have been close to winning and you haven't managed, of course that leaves a mark. He was not very focused in the Indian Wells final, where he was playing very well. He had beaten Djokovic very well in the first set, and he stopped inexplicably,' Toni Nadal says. 'No, no, no. This is related to tennis, but anyway we are not going to make a drama of something that is going more or less well. We are just missing that consistency to be a decisive player,' Toni Nadal said. What is Nadal's main problem? 'I go away from a tournament in bad shape when it was won and I lost it. I was affected by Indian Wells. Man, how can you let that chance go when you are winning! Or Miami,' the coach said.